This safety vest is adjustable to fit almost any size. The vest is available in two base sizes; M-XL and 2X-5X. Click here to view a size chart. 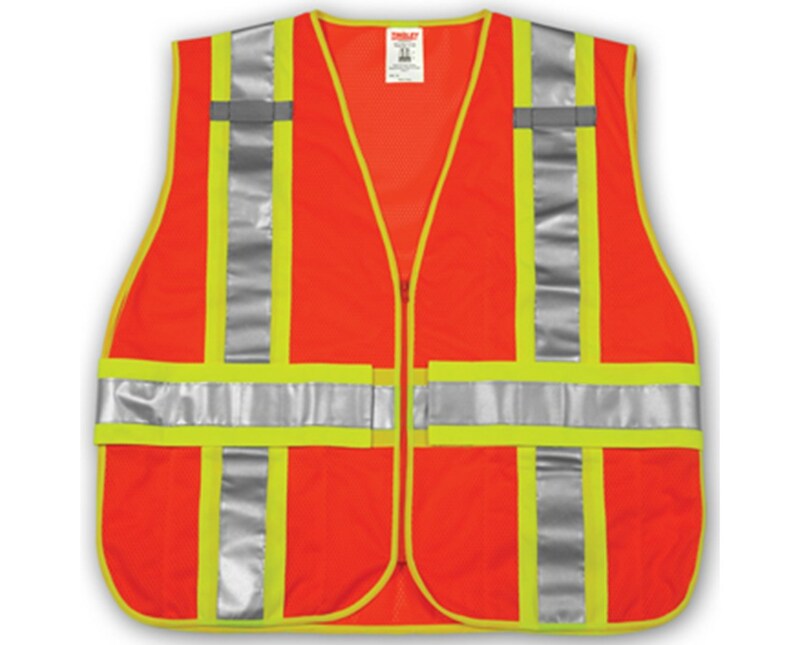 This reflective high visibility vest, is fantastic and one of the best of its kind. The fluorescent orange-red color is bright and ANSI/ISEA 107 Class 2, Level 2 compliant, for visibility and background color. Additionally, the yellow-green binding and solid reflective underlay adds an added measure of visibility. 2” reflective tape is placed in an “H” pattern with one horizontal band. 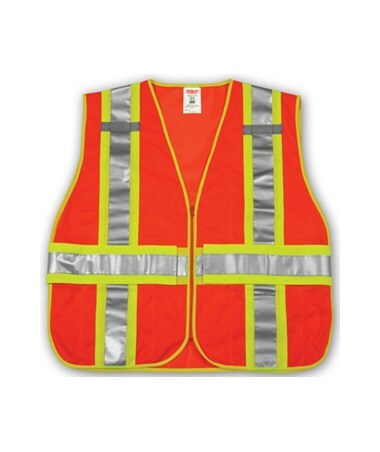 This reflective orange vest provides 360° visibility. The ANSI compliant statement and care instructions can be found on a tag inside the vest. Sizing on the vest easy, as the adjustable tabs on the sides allow the vest to be sized as needed. The adjustable tabs also allow the vest to be adjusted to provide ample room for body movement. Lightweight, thin mesh material makes the vest suitable for any work environment. A zipper closure ensures a snug and comfortable fit. 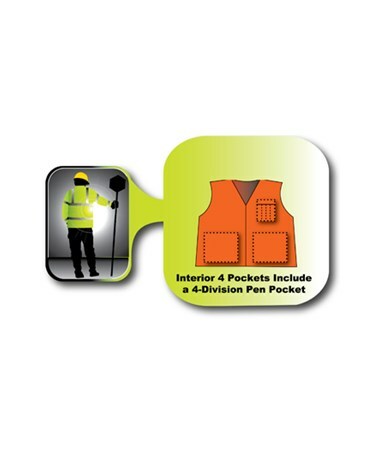 The adjustable safety vest features four interior pockets and two mic. tabs. The interior upper left of the vest has a two tiered pocket, the bottom layer measures 5.5” X 6” and the upper, four section pen pocket measures 5.5” X 5”. The pocket on the interior lower right and lower left, measure 7.5” X 7.75”. Additionally, two mic. tabs are located on the vest a little below the shoulders. 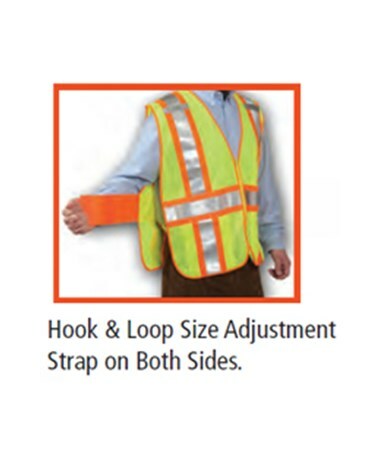 The two tone reflective vest is adjustable and is available in these two base sizes; M-XL and 2X-5X. Click here to view a size chart. Use the size chart to help determine the proper size for you. Adjustable side straps for tightening and loosening the vest.